Enrique Tomás' aromatic ham, dangerously pleasant! This is a 100% Iberian Paleta, Black Pata from a pig raised and cured entirely in the best preserved pastures of the Iberian Peninsula. Its oily and abundant acorns, as well as the abundance of its grass will make 100% Iberian pigs produce Iberian shoulders with a very intense taste, as an explosion of flavors that with the same elegance that arise also fade away. Thanks to nature, but also and to a great extent, to the recipe of the master ham makers of this region is achieved a product for the most demanding lovers of good ham. They are pigs 100% Iberian breed, reared in the meadows that, during the Montanera-season, have been fed with acorns, wild plants and grasses, the final product of this animal could not be other than a meat with an exceptional flavor thanks to the infiltration of fat in the muscle, as well as the feeding and care to which it has been subjected. The Paleta Bellota 100% Ibérico is characterised by its juicy nature, with a unique fat grain and a flavour full of nuances that, depending on the origin, can vary in taste. 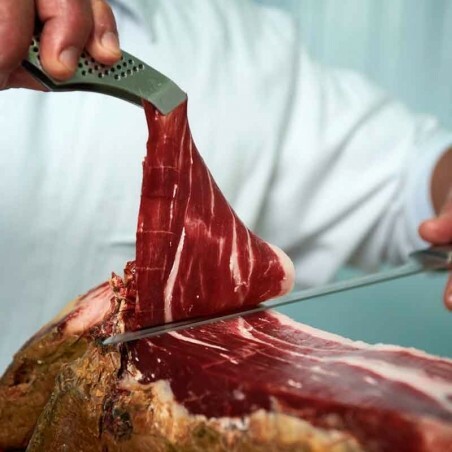 The Jamón and the Paleta (ham shoulder) called Pata Negra are the best ham in the world, a unique product of which we are very proud in Enrique Tomás. Net weight: 5,3 Kg. approx. Ideal for: Sliced Taste, common uses, tapas, sandwiches, to eat alone, cook and whatever is convenient. 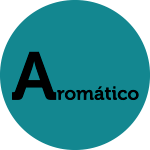 Description of flavour The flavor of origin of Cáceres/ Badajoz is Intense and pleasant, very tasty at the beginning, with such elegance that leaves no trace in the mouth once tasted. Once the paleta has been started, it is recommended to eat it in less than 21 days so that it retains all its flavour, quality and properties. In summer it should be consumed in less than 16 days. Cut each time only the ham to be consumed at that moment and apply a lint-free cloth to keep it away from the sunlight and less exposed to the air until the next time it is to be cut again.